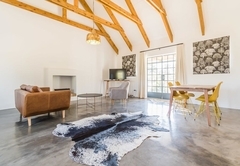 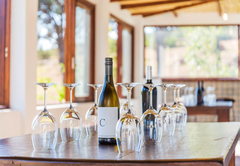 Druk-My-Niet Wine Estate is a property providing self catering in Paarl for tourists visiting the Cape Winelands region. 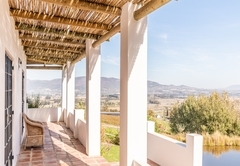 Situated at the top of the farm Druk-My-Niet Wine Estate offers accommodation with gorgeous views of the Paarl Valley. 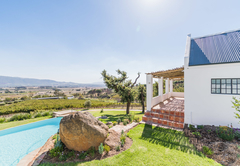 The estate has a swimming pool and is just 5kms from Paarl where there are a number of restaurants and shops to keep you entertained! 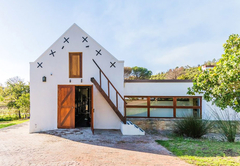 There are four Cape Dutch style self catering cottages. 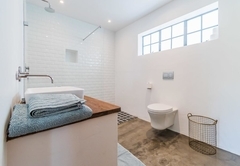 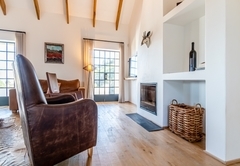 The fully fitted cottage has an open plan kitchen, a Nespresso coffee machine, open fireplace, wood stove, TV, private terrace and infinity pool. 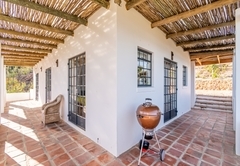 wood fire oven, washing facility, private terrace and infinity pool. 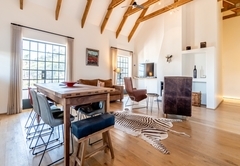 The cottage has three bedrooms and two bathroom. 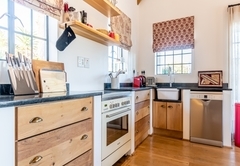 The kitchen is fully equipped and includes a dishwasher. 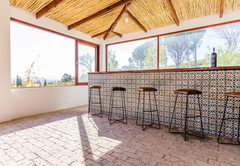 There is DStv, a private garden, deck and infinity pool. 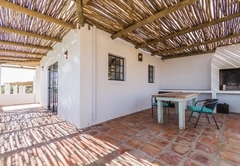 The one bedroom cottage is equipped for self-catering. 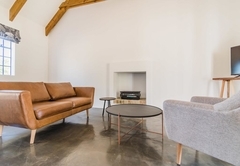 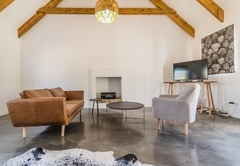 Fully fitted self-catering cottage, open plan kitchen, TV, W-LAN, Nespresso coffee machine, open fireplace, wood stove, private terrace, infinity pool. 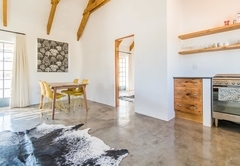 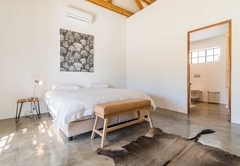 Fully fitted self-catering with 2 bedrooms 2 bathrooms, fully equipped kitchen, dishwasher, W-LAN, TV, DSTV, DVD and Stereo, wood fire oven, washing facility, private terrace, and infinity pool. 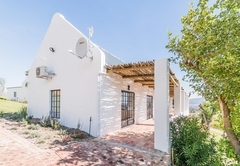 Fully fitted self-catering cottage with 3 bedrooms and 2 bathrooms. 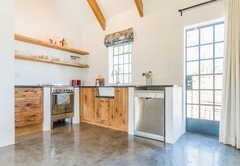 Fully equipped kitchen with dishwasher, fridge/freezer. 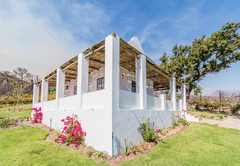 W-LAN, TV and DSTV, washing facilities, private garden and deck, infinity pool. 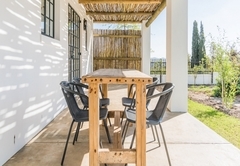 One bedroom cottage, self-catering unit. 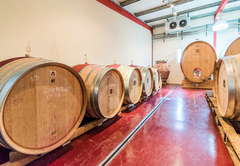 Response timeDruk-My-Niet Wine Estate typically responds to requests in 5-10 minutes. 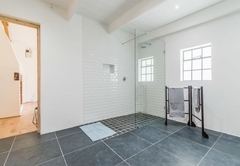 Child policyChildren of all ages are welcome but parents are to note that the swimming pool is not covered with a net.